Mouthpieces Are Serious Business. Get Yourself A Manager! Finally! An easy way to store and display your collection of mouthpieces. 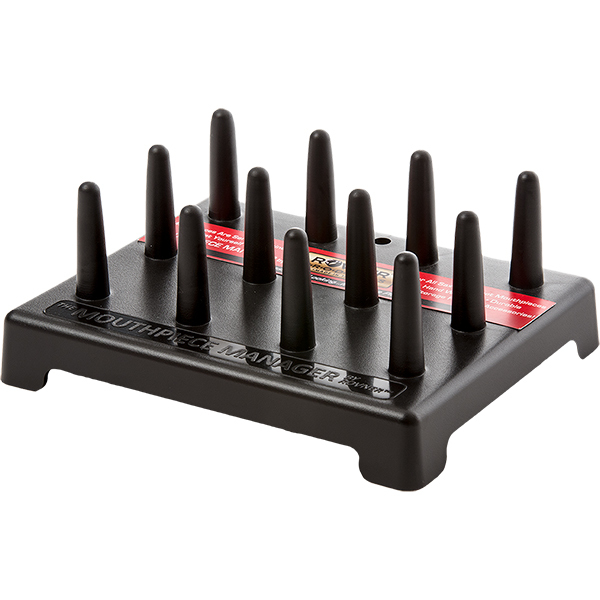 Anybody desiring an easy, tidy solution to organizing a box, bag or drawer full of mouthpieces and ligatures. Store them upright...spend less time looking and more time playing. Great for the mouthpiece "collector," band director, store owner, or instrument repair shop.